ISLAMABAD: Players compete during their match of the Pakistan Squash Circuit-I at the Mushaf Squash Complex on Wednesday. 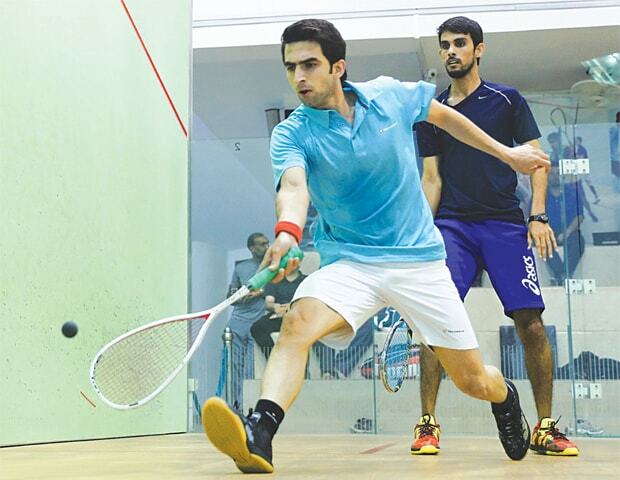 ISLAMABAD: Former national champion Danish Atlas Khan and three other players — Zahir Shah, Haris Iqbal and Mansoor Zaman — after winning their qualifying matches on Wednesday moved into the main round of the Pakistan Squash Circuit-I here at the Mushaf Squash Complex. Danish Atlas took 21 minutes to eliminate Noman Khan in three straight games, outclassing him with speed and accuracy 11-6, 11-4, 11-8. Haris Iqbal and Mohammad Farhan exhibited fine strokes in a thrilling five-game clash that lasted 51 minutes and was ultimately won by the former. Haris, who was two-game down (4-11 and 10-12) made a resounding comeback in the third game, outclassing his opponent 11-5. He kept momentum in the next game too, defeating Farhan 11-3 to equalise the lead. 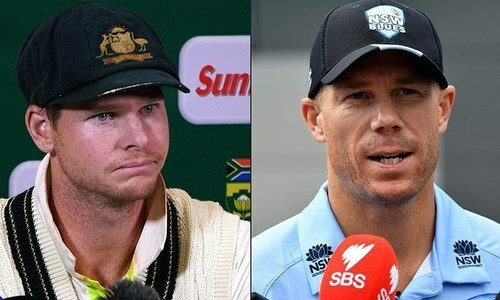 In the decider, he kept his opponent under pressure winning the game 11-5 and the match. Earlier, Zahir Shah defeated Bilal Zakir in four set game 11-13, 14-12, 11-4, 11-3 while Mansoor Zaman, who was leading one game, 11-8, were declared winner in the second game, when his opponent Iqtidar Khan was retired hurt. The four players will join the main draw of 16 players from Thursday. Twelve players Farhan Zaman, Asim Khan, Tayyab Aslam, Farhan Mehboob, Israr Ahmed, Khawaja Adil Maqbool, Zeeshan Khan, Umair Zaman, Amaad Fareed, Syed Ali Bukhari, Shoaib Hassan and wild card entrant Abbas Zeb are already in the main draw. The tournament offers a handsome prize money of $10,000 for men and $5,000 for women players. All top-ranked local players are featuring in the international event.